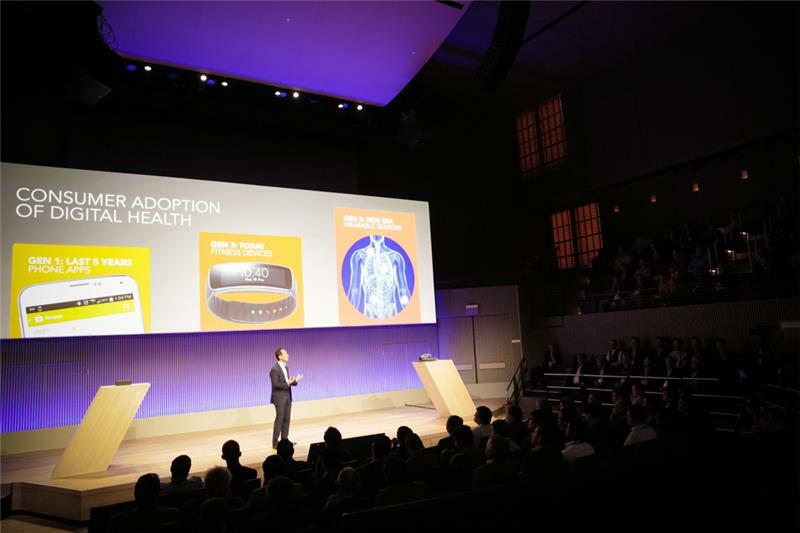 Samsung's Silicon Valley-based Strategy and Innovation Center is hosting an event to launch a new initiative in digital health. "A voice that could speak to you in a way you can understand?" 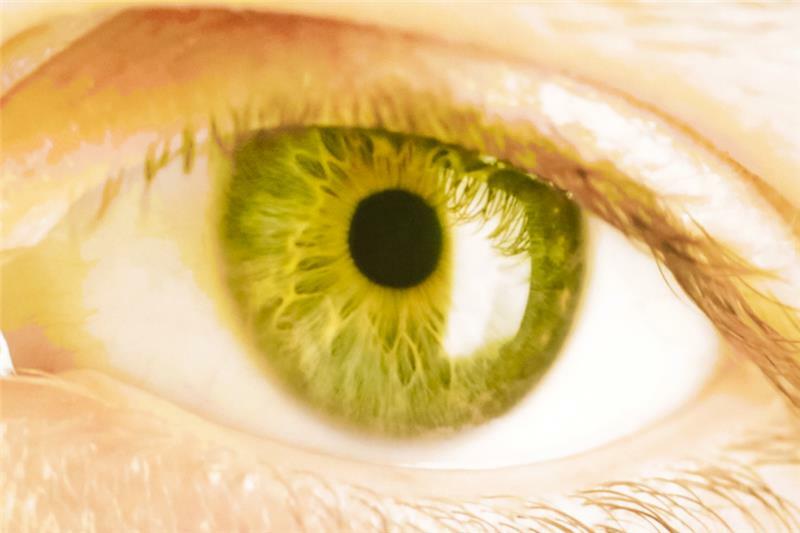 What if the muscles and skin of your body could tell you every minute of every day what it needs and wants? You would learn a lot and live a long life. Video saying you can adjust habits, gain insights, etc. Change your life. 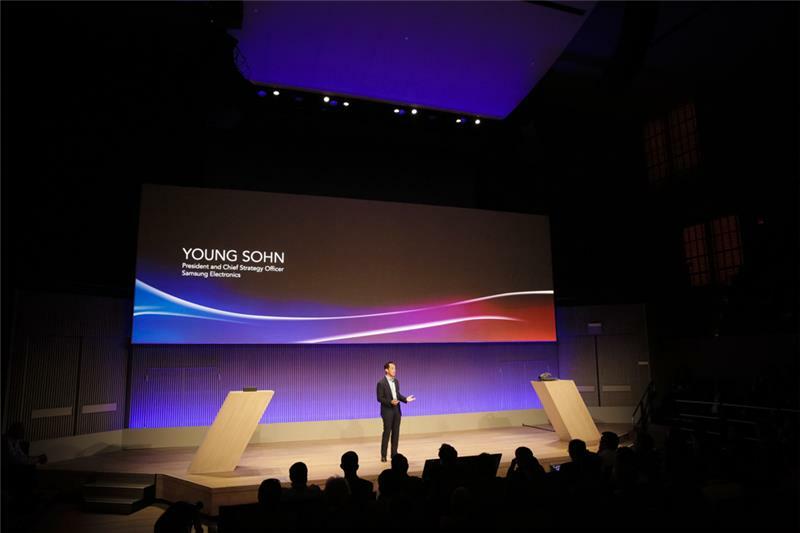 Here comes Young Sohn, the president and chief strategy officer of Samsung. 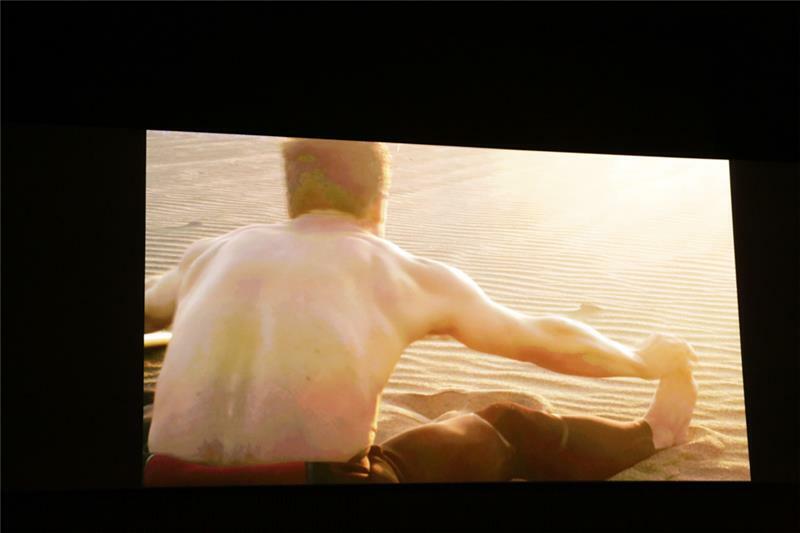 When he training for fencing, he says, he had to listen to his body. Sohn is a pretty important exec at Samsung. Unlike many US-based execs, he actually holds a high-title at the overarching Korean company, not just the US business. 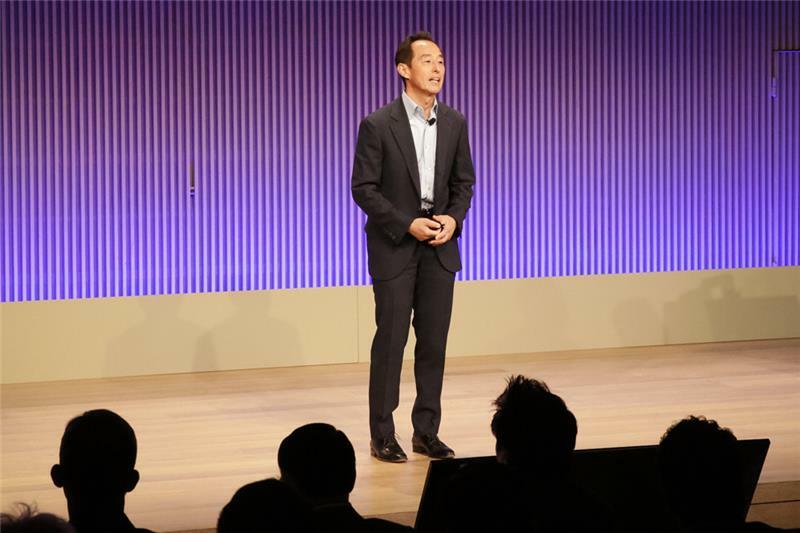 He's a president at Samsung Electronics. Fencing is a combination of athleticism and chess, Sohn says. And we have to listen to data to improve our lives and health. 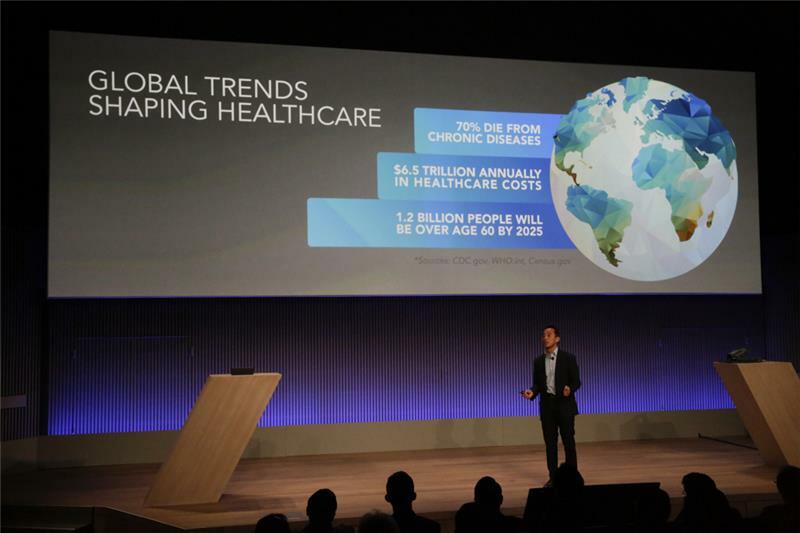 The goal is to converge IT technology with health and wellness. "This is the single greatest opportunity of our generation," Sohn says. We're recapping through the new wearables that Samsung has. 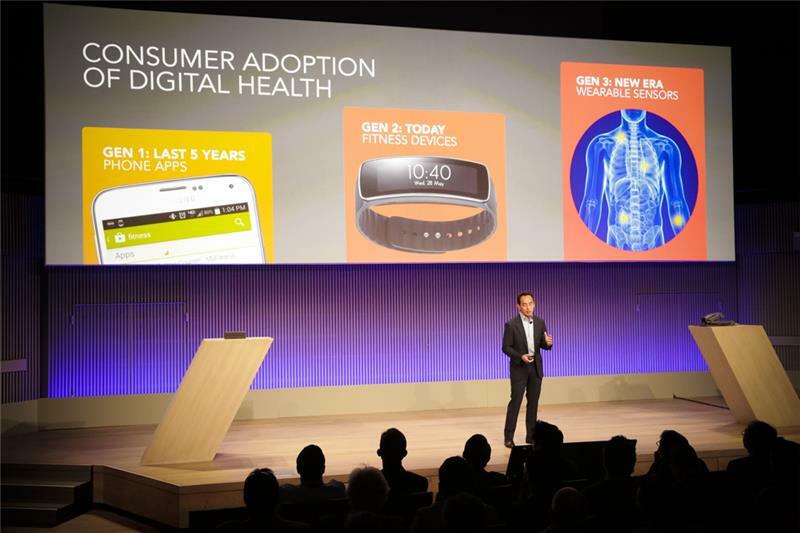 We're seeing images of "consumer adoption of digital health." Generation 1 from the last five years was phone apps. Generation 2, today, is fitness devices. 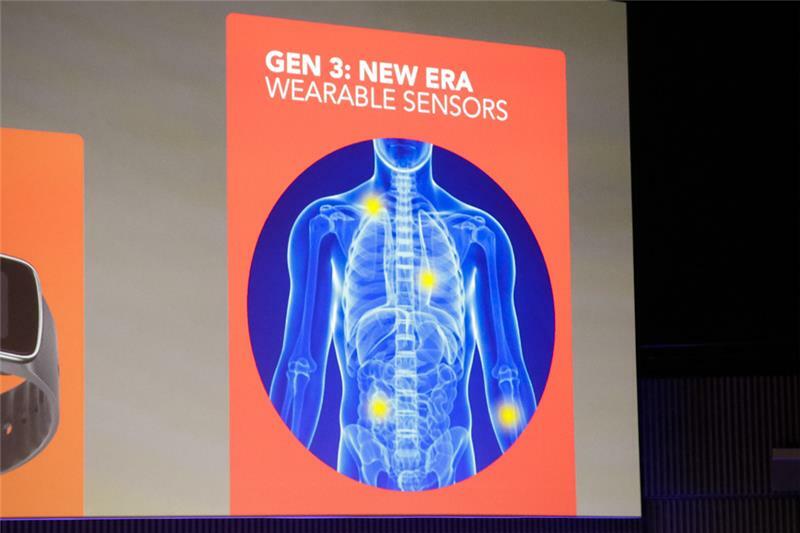 Gen 3, new era is wearable sensors. Alright, that's clearly what this will be about. Wearable sensors. Makes total sense considering this is the components business. Temperature and heart monitor are an addition to tracking steps. He says he's been wearing his Samsung Gear watch for more than two weeks, a record for him. I think Sohn was the Samsung exec who got in a trouble a year or so ago for saying he used an iPhone, not Samsung devices. 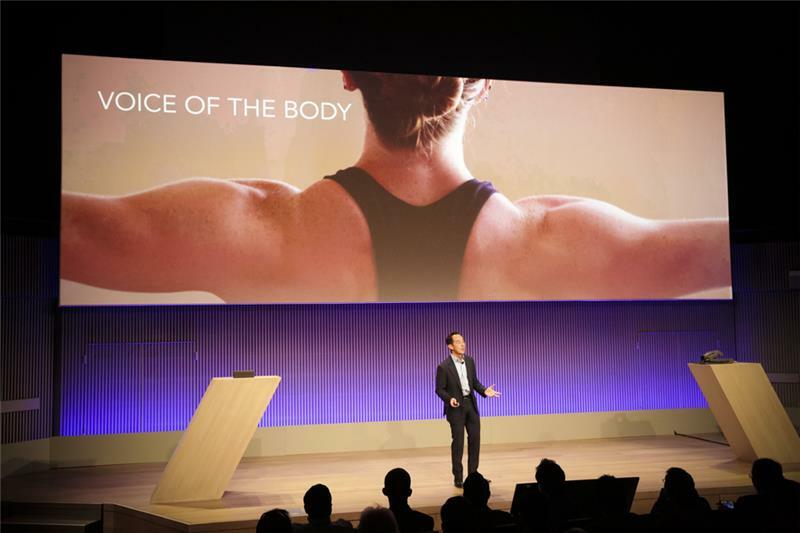 Sohn is telling us that he runs as well, and highlights that we're going to see even more fitness-related wearables from Samsung in the future. But the main focus today is the sensors. He posits: Why shouldn't we know as much about our bodies as we know about our cars, for instance. Now, your guages and air pressure are mandatory in cars. "And I think we can do something similar to human bodies as well." That's a very good point from Sohn. Your car can tell you almost anything. But there's also the issue of whether people actually want to wear sensors. There's an increasing cost of health care. It will be interesting to see how Samsung pitches something like this without making it seem too invasive. 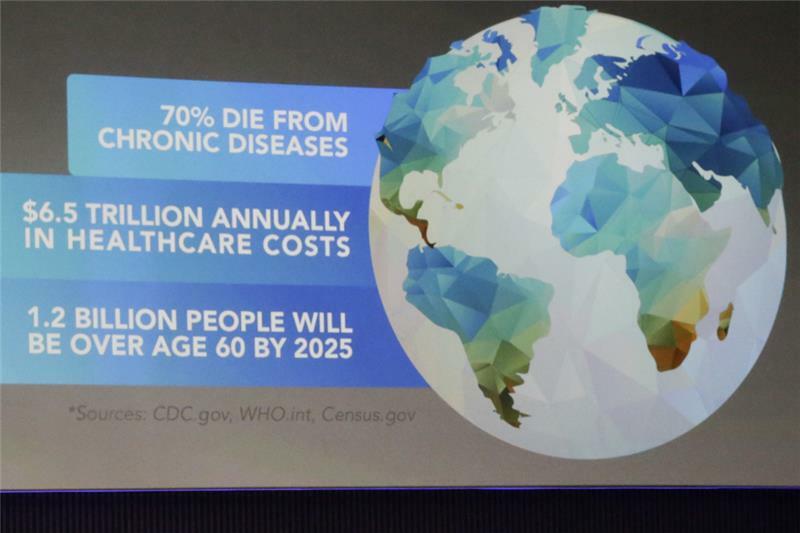 70% of people die from chronic diseases, Sohn says. And 1.2 billion people will be older than 60 by 2025. Countries are ageing faster as people live longer and birth rates decline. Ha. 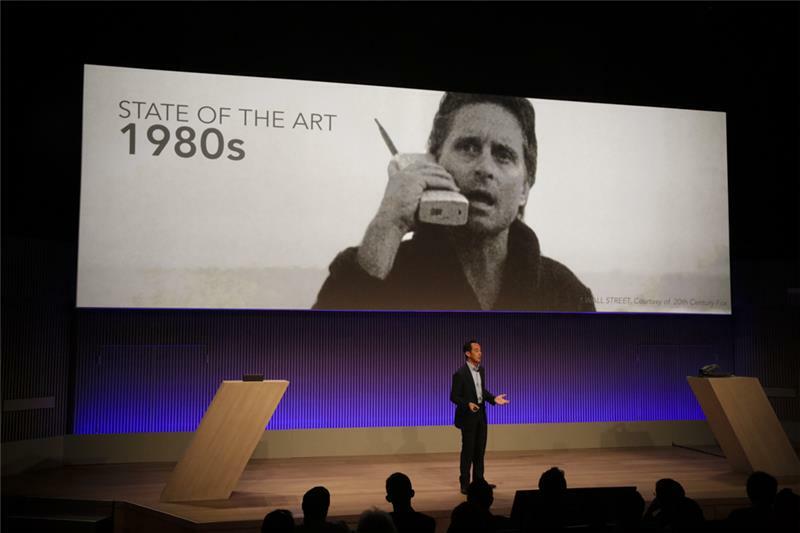 We're now seeing a photo of Gordon Gekko from Wall Street, holding this ginormous cellphone. Sohn brings out an old-timey phone from the original Wall Street movie. 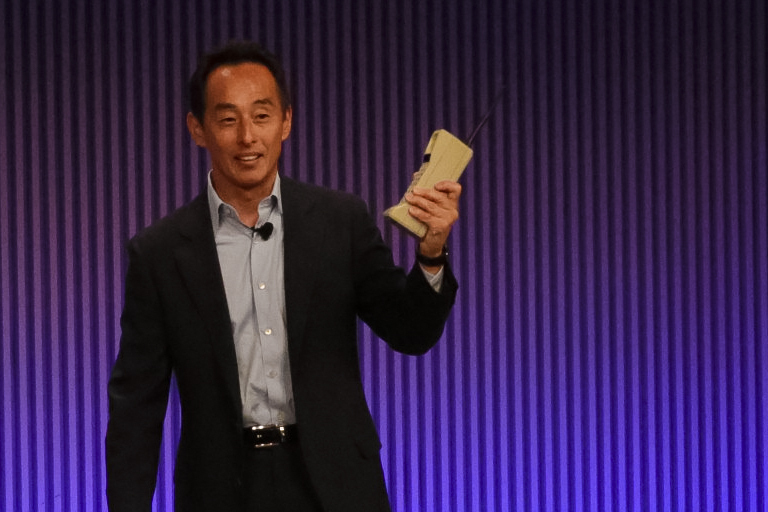 Samsung's first cellphone looked A LOT like that. They have models in their various museums in Korea. 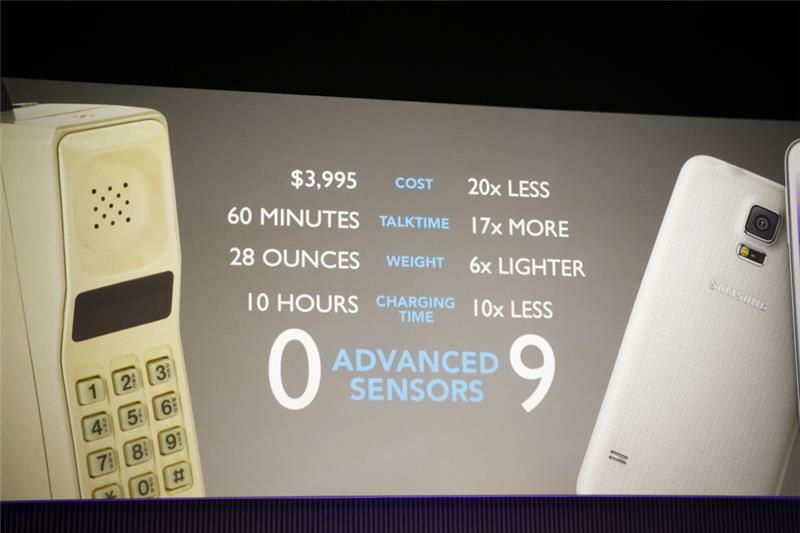 Sohn compares the changes in cost when we talk about modern mobile phones. Sohn notes that 25% of semiconductors are going to phones. 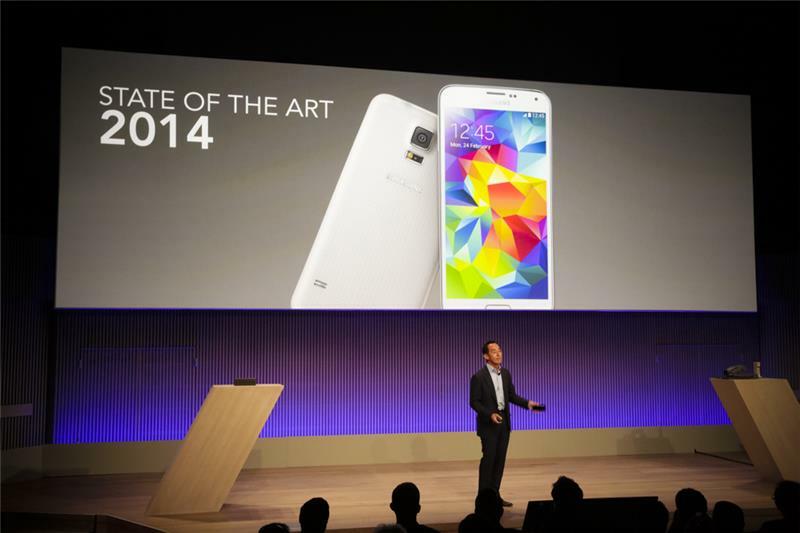 The Galaxy S5 has 9 sensors in it, and is 6x lighter and 20x cheaper than the first Samsung phone.